Did you know that there is a community of Basques in Boise, Idaho? I’m in Boise on a business trip and after hearing about two great Basque restaurants I asked, how did Boise, Idaho end up with Basque restaurants? It turns out that Boise has the largest population of Basques outside of Spain. They came here in the 1800s as sheepherders, miners and loggers. 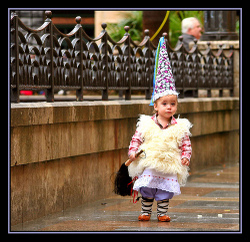 Now there are Basque restaurants, museums and even a Basque preschool in Boise! The US has a hefty salary: just compare the individual states to other countries!